The European Year of Cultural Heritage (EYCH) 2018 got off to an impressive start with the launch for England on 17 January in London. 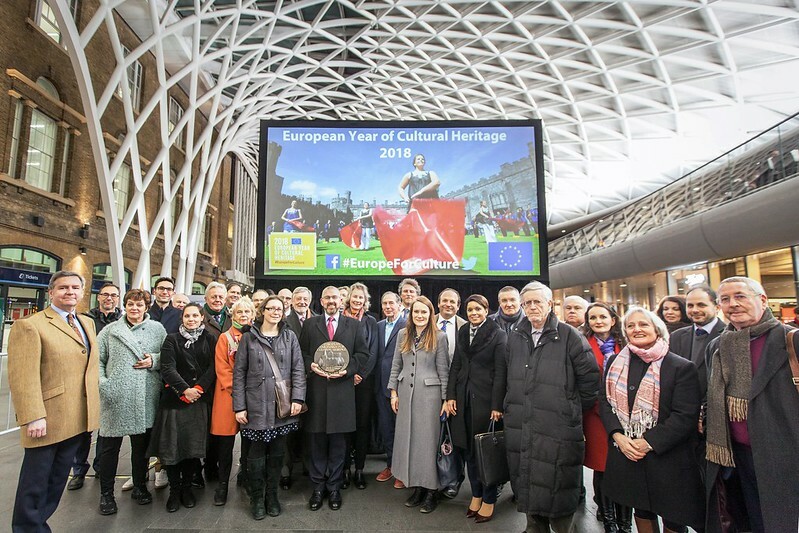 This remarkable opening event featured the Sponsors Preview of Lumière London and the presentation ceremony of the EU Prize for Cultural Heritage / Europa Nostra Award to the regeneration project of King’s Cross Railway Station. Similar launch events kick starting the European Year of Cultural Heritage are planned for Wales, Northern Ireland and Scotland. Graham Bell, UK National Coordinator for the EYCH 2018 and Council member of Europa Nostra, described the European theme running through the launch event and the Year ahead. “Lumière London has been inspired by the French photographer/cinematographer brothers Lumière and a century later adapted to impress UK and international audiences. By superimposing imagery onto the historic environment it uses creativity to help us see and appreciate the familiar in unfamiliar ways. That also is what 2018 EYCH aims to do: the UK needs to combine its largely separate cultural and heritage sectors into one coherent understanding of who we are, and in which European influences are always present,” stated Graham Bell, in front of an audience of 150 people, who gathered at St. Pancras Renaissance Hotel. The local award ceremony for King’s Cross was held in the middle of the main railway station concourse, providing a spectacular and very public setting for the presentation the Award. Some 30 heads of cultural heritage organisations and specially invited guests took part in the celebratory event. 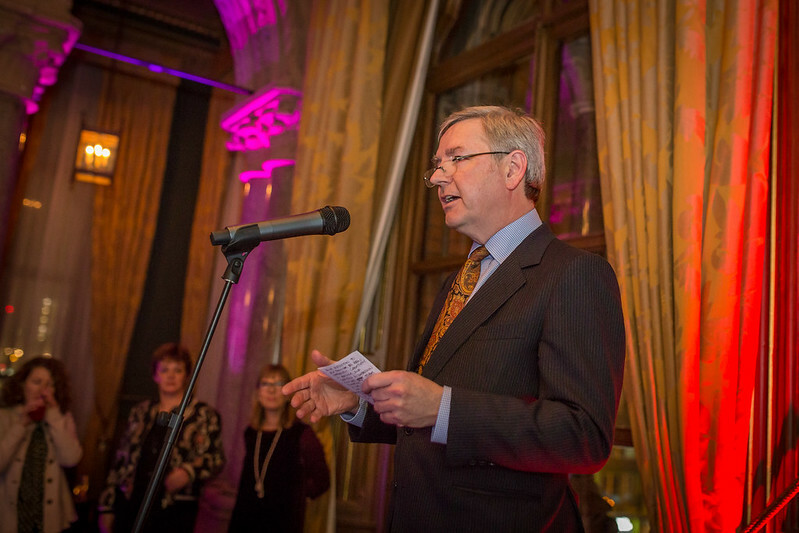 John Sell, Executive Vice-President of Europa Nostra, presented the EU Prize for Cultural Heritage / Europa Nostra Award 2013 to the Stations Director for Network Rail, Norrie Courts, and praised the outstanding regeneration of the King’s Cross. “When I come into this space two things strike me. Firstly, the boldness of the architectural intervention. The way in which architectural imagination has been used to unite two disparate buildings and create a space which really works as a great railway terminal. Secondly, the knowledge that a real understanding of the history of this building, the way it was originally conceived, the realisation that the original route from street to train, from the side of the train shed not the front makes perfect sense”, stated John Sell, Executive Vice-President of Europa Nostra. Ceremony attendees were then treated to an exclusive preview of Lumière installations.